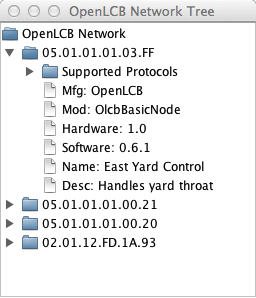 The "Configure Nodes" OpenLCB tool lets you directly see the nodes on your OpenLCB network and do some back manipulations on them. 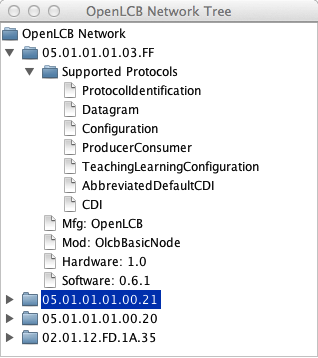 It works with your OpenLCB installation to gather the information you need as you run the tool; there are no local configuration files in your computer. 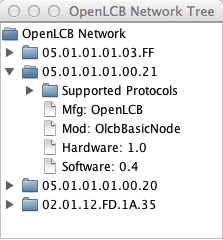 When you first open the tool window, it shows a tree of accessible OpenLCB nodes. For most installations, this is just the list of what's attached via a CAN adapter. You can click to open each node and see more about it. 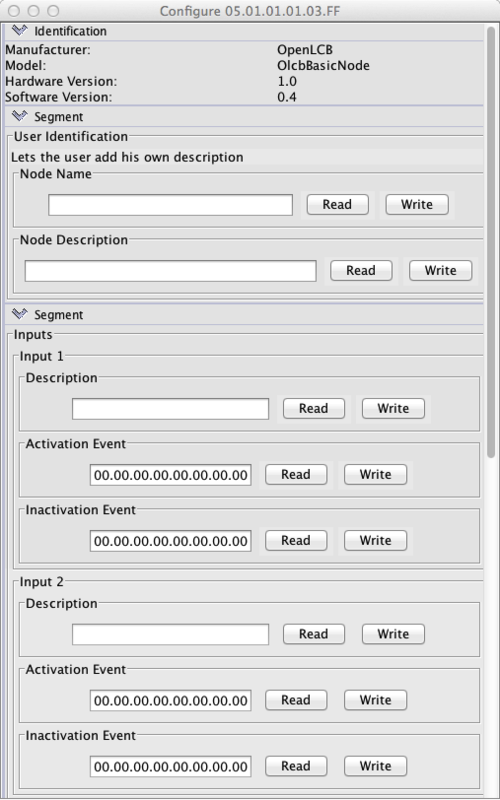 Opening the "Supported Protocols" item, for example, will show you the capabilities of that particular node. If you click on the "CDI" item, for Configuration Description Information, you'll get a DecoderPro-like configuration tool for the node. Note that this is entirely taken from the OpenLCB node itself. There's no need to find a decoder configuration file, select the right board type, etc. You can fill that out and click "Write" to configure the node. The top few fields are used to give it a user-chosen name and description, so you can remember this node later. 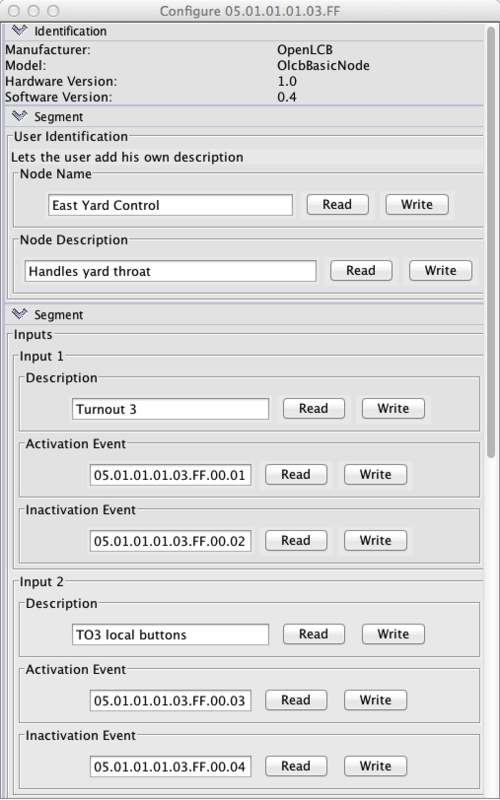 You can set the events that correspond to different inputs and outputs, and even give those user-convenient names. That's all stored permanently in the node. After a restart, that information then shows in configuration tree to help you recognize your nodes.